If you love something simple and terribly tasty, this is it. Consider it a home amuse bouche. Since I am still in love with my Blendtec blender this soup is super easy to make, especially if you have frozen peas in your freezer and you want to impress your husband. You can also use a hand immersion blender as well. My husband and I both loved it. I found this recipe at RealSimple.com. Melt the butter in a medium saucepan over medium heat. Add the onion and 3/4 teaspoon salt and cook, stirring often, until tender, 6 to 8 minutes. Add the broth and bring to a boil. 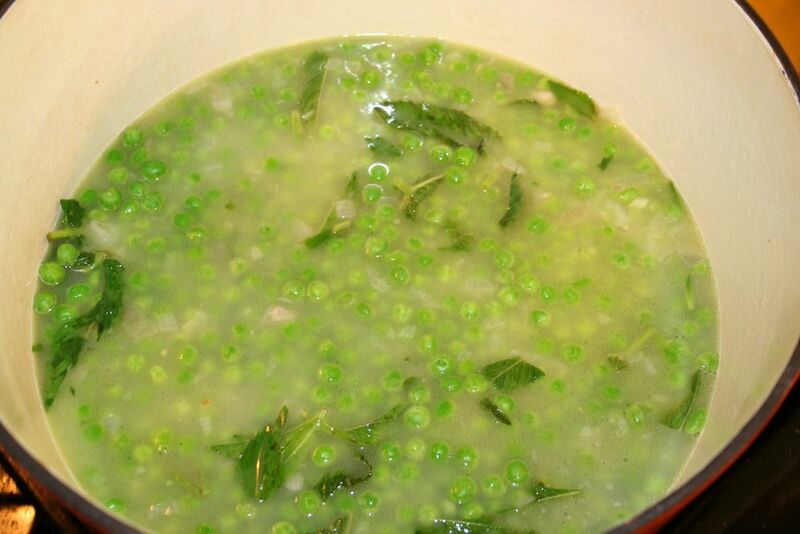 Place the peas and mint in a blender and add the hot broth mixture. (Because hot liquids expand when blended, hold the lid firmly in place with a kitchen towel before blending.) Blend until smooth. Return to saucepan to heat through, if necessary.